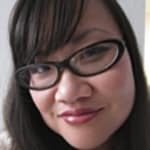 By day, I design websites, manage social media accounts and blog at www.EatLaughPurr.com. By night, I watch way tooooooo much TV and allow a 17 lb cat boss me around. I'm thrilled to be reviewing Madam Secretary and The Millers for TV Fanatic because I am a TV fanatic. On Elementary Season 3 Episode 24, Sherlock's sobriety is at risk while he searches for a missing friend. Can he resist temptation? Read the review to find out. On Elementary Season 3 Episode 23, Captain Gregson faces a decision that affects the future of the team. Read the review to find out his answer. On Madam Secretary Season 1 Episode 22, Elizabeth is deemed a traitor and faces prosecution for her actions. Read the review to find out what she did. On Elementary Season 3 Episode 22, an inmate's escape from prison leaves Sherlock and Joan baffled. Read the review to find out how she did it. On Madam Secretary Season 1 Episode 21, Elizabeth agress to put someone in the crosshairs. Read our review to find out who the unlucky person is. On Elementary Season 3 Episode 21, Joan and Sherlock hunt a "surgeon" who is murdering unsuspecting drug mules. Read our review to see the results! On Elementary Season 3 Episode 20, Sherlock and Joan investigate the murder of a professional doubter who may have uncovered a terrorist plot while Joan also helps Captain Gregson's daughter on a case. On Madam Secretary Season 1 Episode 20, a Russian submarine vanishes in Alaskan waters, while Henry's lecture in Russia is interrupted by President Ostrov. On Elementary Season 3 Epsidoe 19, Holmes and Watson must prevent a civil war among the hacker group, Everyone, after a member is murdered and Joan begins isolating herself from friends. On Madam Secretary Season 1 Episode 19, Elizabeth must figure out a way to prevent Greece from defaulting on their loan while Stevie worries about a friend relapsing. On Madam Secretary Season 1 Episode 18, a Congressman is taken hostage by a doomsday cult threatening mass suicide while Henry and Elizabeth get a shock when they meet Stevie's boyfriend. On Madam Secretary Season 1 Episode 17, Elizabeth struggles to return her normal routine while trying to privately deal with the events from the Iranian failed coup.